Born in Santo Domingo in 1836, Gómez ended his education so he could join the Spanish army, and his first assignment was Haiti. For some time he fought on the Spanish side, until, in 1865, he commanded reserve troops in Cuba. His views changed, however, after seeing the lives of slaves in Cuba, and he adopted the values of those seeking independence. He joined the rebels, and in four days he went from sergeant to General, becoming Chief of the First Corps. After the Ten Year War fizzled, Gómez returned home, and he was a figure in The Little War in 1880, which also failed. During Cuba's War of Independence (1895-98) Gómez and Maceo were collectively known in the Spanish press as "the fox and the lion." 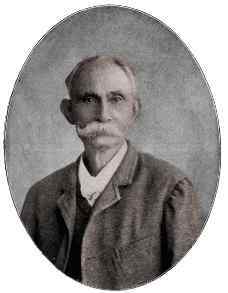 Remembered as the first president of Cuba, Estrada Palma was an active participant in the Ten-Year War (1868-78). He became a general in 1876 and was captured by the Spanish in 1877. At the end of the war he was released and exiled, and spent some time in the United States, where he supported the cause of Cuban independence. 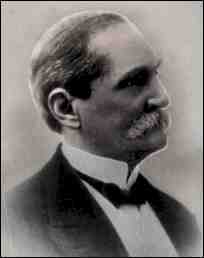 In 1902 Estrada Palma became the Cuban republic's first president. He strove to balance the republic's economy and set Cuba on the road to material progress, but he was unable to stop the excessive graft and spoils sought by the revolution's military and political participants. In 1906 the conservatives reelected Estrada Palma, but the liberals charged fraud, and a revolt broke out under José Miguel Gómez. Estrada Palma sought aid from the United States but, refusing the American compromise, resigned. Ignacio Agramonte played an important part in the Ten-Year War (1868-78). In 1869 he became an official of the revolutionary government, but disagreeing with Carlos Manuel de Céspedes, resigned. For a time commander in chief of the revolutionary forces, Agramonte died in battle on May 11 1873.